Why advertise on Weddings Cornwall? WeddingsCornwall.co.uk is the premier online resource for people who are getting married in Cornwall - our visitors are searching for general wedding information and finding suitable suppliers for their wedding. We can offer you the opportunity to promote your business to your target audience, and we will do all we can to ensure that you receive a positive return on your investment through our various advertising packages. What advertising opportunities do we offer? We have various advertising options, or if you would like something extra we can provide a custom package to meet your requirements. Our extensive Wedding Suppliers Directory is sorted by category and then by sub-category and we offer various packages for becoming listed. Advertise your event in our Wedding Fayre Diary for £25 per event - a panel advert 540px x 100px. Get a showcase panel on the homepage 720px x 150px linking to full page with more details, for only £100 per month. 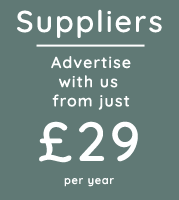 If you would like to find out more about our advertising packages including prices, please complete the form below.